Star ratings are a common feature today and are used to evaluate everything from movies, books, restaurants and hotels all the way to Medicare plans and nursing homes. Their goal is to help consumers make informed decisions about the goods and services they purchase or use. But what do they mean exactly? And more importantly, can you trust them? 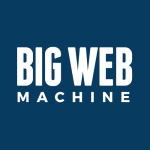 “The simple answer is no,” says Mark Bakken of Big Web Machine. Bakken has spent years as a consultant and consumer advocate for verification of online reviews. Here’s why Bakken says stars cannot be trusted.